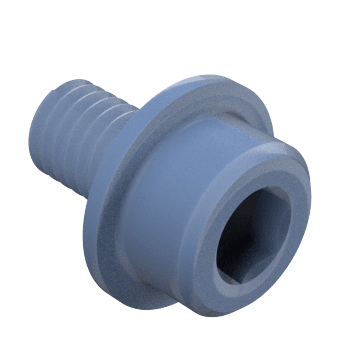 These screws don't require side clearance for a wrench, so they're good for tight spots. Install them with a hex key. 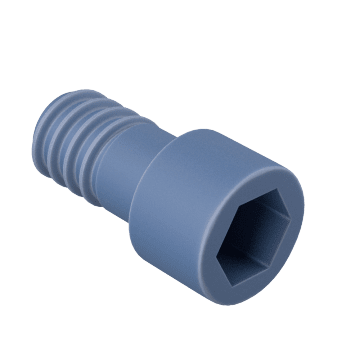 The screw head sits atop the fastened material or can be sunk into a counterbored hole. 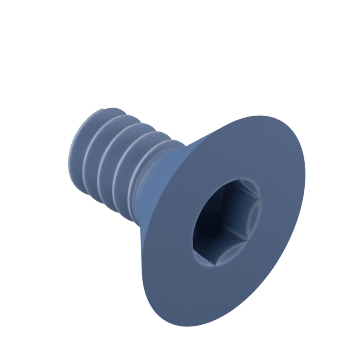 Countersink these flat head screws to sit flush with surfaces. They're less visible than other head styles since they don't stick out from the material surface. Fasten thin materials and other surfaces that can't be counterbored. 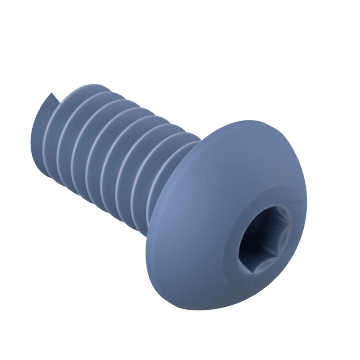 Button head screws have a low-profile, rounded head that fits snugly to fastened surfaces and provides a neat appearance. 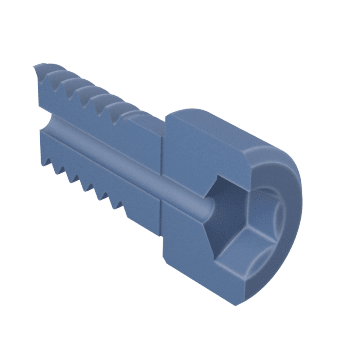 Fit these screws into low-clearance spaces. 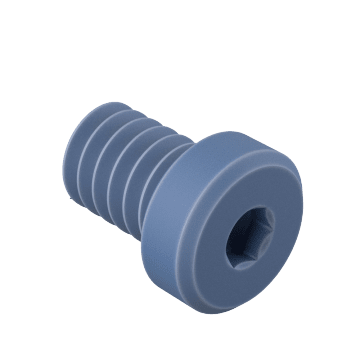 For use in vacuum systems, these screws have a hole drilled through their length for releasing gas and fluid from underneath the threads. 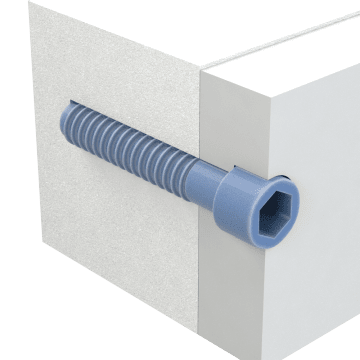 The washer-like flange spreads out the fastening force to help prevent damage to surface material.